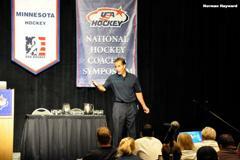 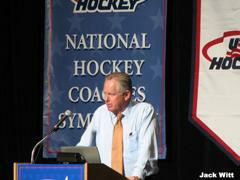 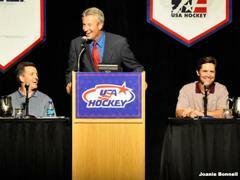 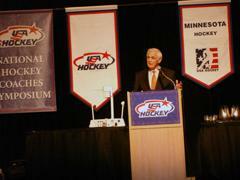 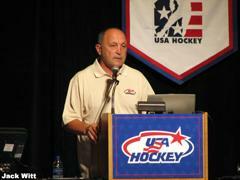 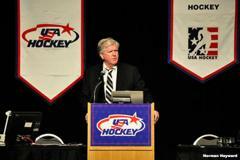 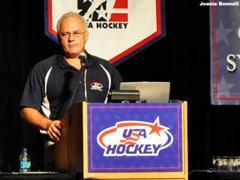 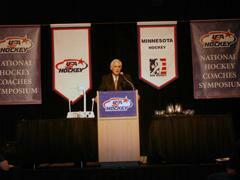 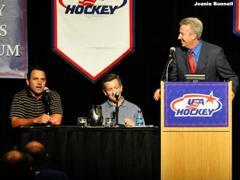 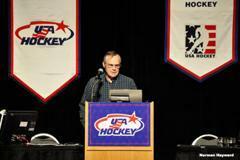 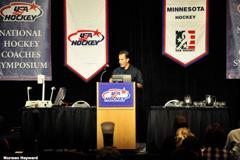 Some of the most experienced coaches and administrators in hockey -- including 2010 U.S. Olympic head coaches Ron Wilson and Mark Johnson -- spoke to more than 550 coaches registered from around the United States at USA Hockey's National Hockey Coaches Symposium. 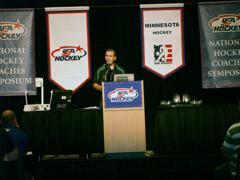 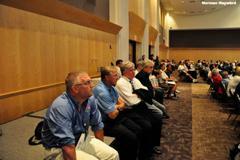 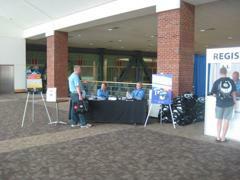 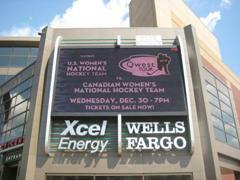 The event was held at the RiverCentre in St. Paul, Minn.
Below is the list of confirmed speakers to date. 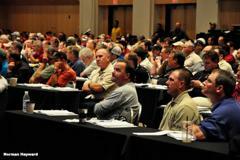 Other speakers will be added as their schedules are finalized. 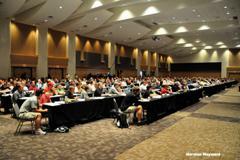 All information regarding the written requirements for obtaining your Level 5 certification will be distributed at the symposium in August. 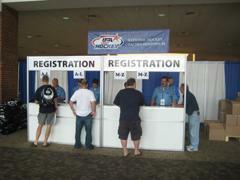 No work can be started or completed prior to the event and all submissions will be required to be based on the information/materials presented.